Our Historic Business District is experiencing a Renaissance. New businesses are popping up every day in Coraopolis, and our retail district centered around Mill Street on 4th and 5th Streets is busy hosting all sorts of community events. From our Coraopolis Open Market to Gallery crawls, we have all the details for you right here! Or, request to be copied on our newsletter by clicking here. Coraopolis is quickly becoming a trail town tourist destination. Coraopolis is home to the Montour Trailhead (named 2017's Trail of the Year) and, by way of the Neville Island-Coraopolis Bridge, is a connector to the Three Rivers Heritage Trail. 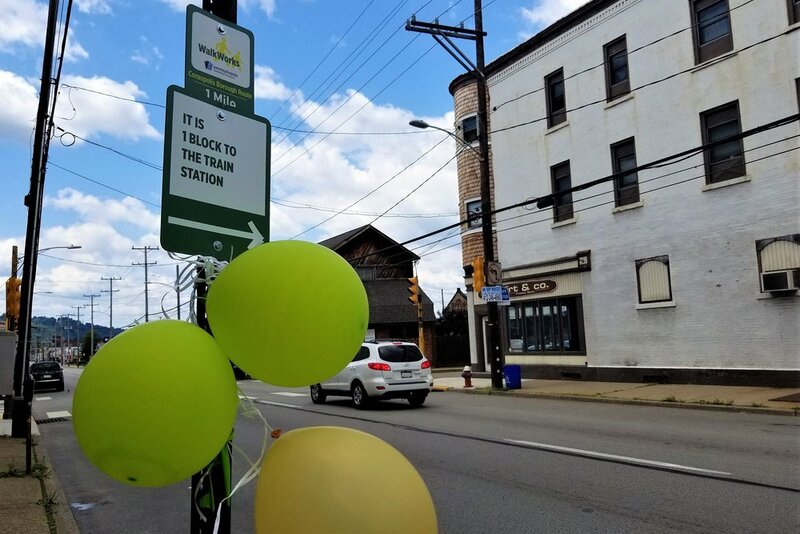 Local initiatives spearheaded by the Hollow Oak Land Trust, Sewickley YMCA, Pennsylvania Department of Health, and Bicycle PA are now bringing fitness straight to the Coraopolis Retail District! Click on the photos below for additional information and trail maps. 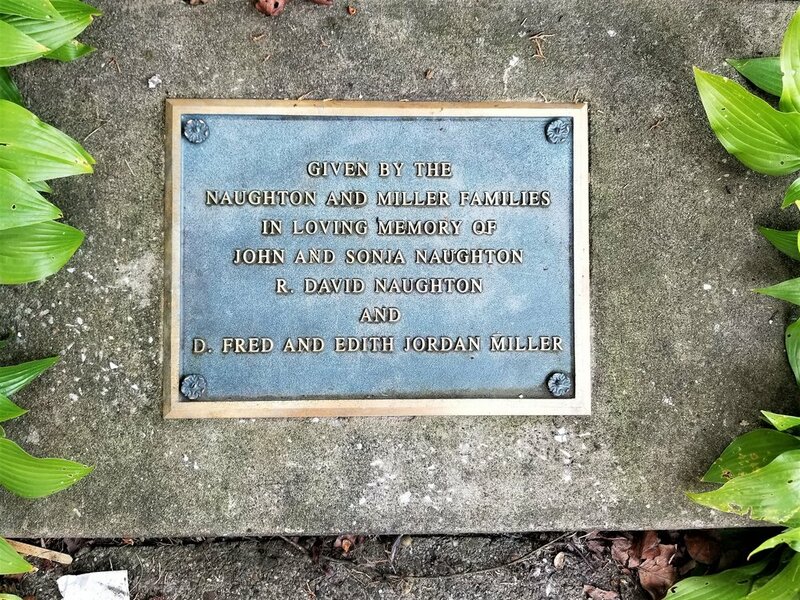 Awarded National Trail Status in 2010, Three Rivers Heritage trail is an urban rail trail from Pittsburgh. It can be accessed via the Neville Island Bridge where it follows the Ohio River in to Pittsburgh. The trail includes signage which highlights significant places, historical events, and native wildlife. Named DCNR's 2017 Trail of the Year, Montour Trail is the crown jewel of Western Pennsylvania's trail system. This multipurpose trail starts right here in Coraopolis with mile zero located off of SR 51. There is also now a connector which allows residents to access the trail at the base of Montour Street, just below 4th. The trail also connects to the Great Allegheny Passage (GAP), a completed trail system that stretches over 335 miles from Pittsburgh to Washington, D.C.
PA WalkWorks was created with the goal to establish a network of "fun, fact-filled, community-based walking routes and walking groups" which provides residents and visitors with an "easy, fun, and free way to increase physical activity" in Pennsylvania. "BicyclePA routes were designed by experienced bicyclists to provide bicycling members of the traveling public who wish to traverse the state with a guide to some of the Commonwealth’s highways and rail-trails." Coraopolis is on Route A: "The route stretches 199 miles from Erie, PA to Greene County, PA, just north of Morgantown, WV." But wait - there's even more on the way! Coraopolis is proud to be Phase One of the Ohio River Greenway Trail which, once completed, will join in Coraopolis to the Montour Trail to form a national mega-trail system that will connect the Great Lakes Region to Washington D.C. Situated in between Robert Morris University and the RMU Island Sports Complex, Coraopolis is a great place to stop off to grab a coffee or a bite to eat in between activities. And with the Pittsburgh Riverhounds' new Montour Junction Sports Complex currently under construction, soon there will be even more reasons to stop by for a visit. 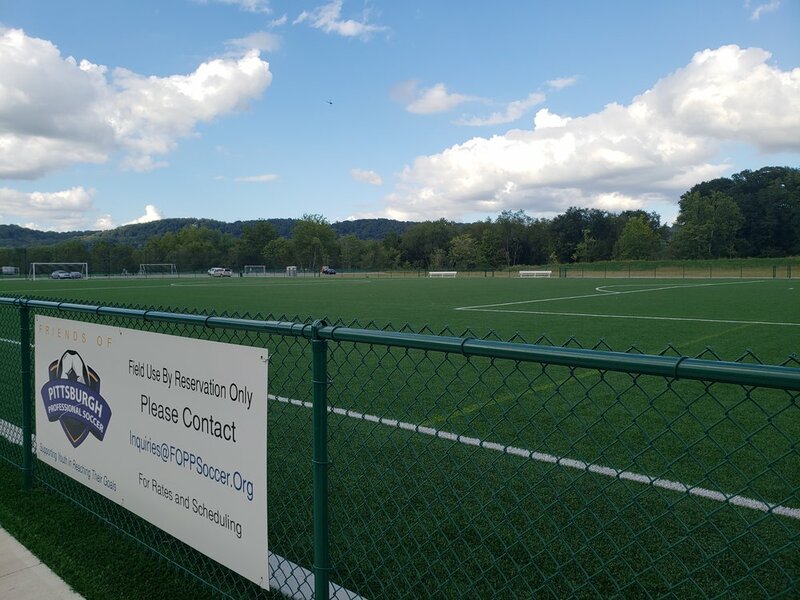 Allegheny County Sports and Athletic Complex at Montour Junction is a brand new recreational park which includes athletic fields such as soccer, rugby and lacrosse for school-aged children; recreational programming; trout fishing; and an extension of the Montour Trail. 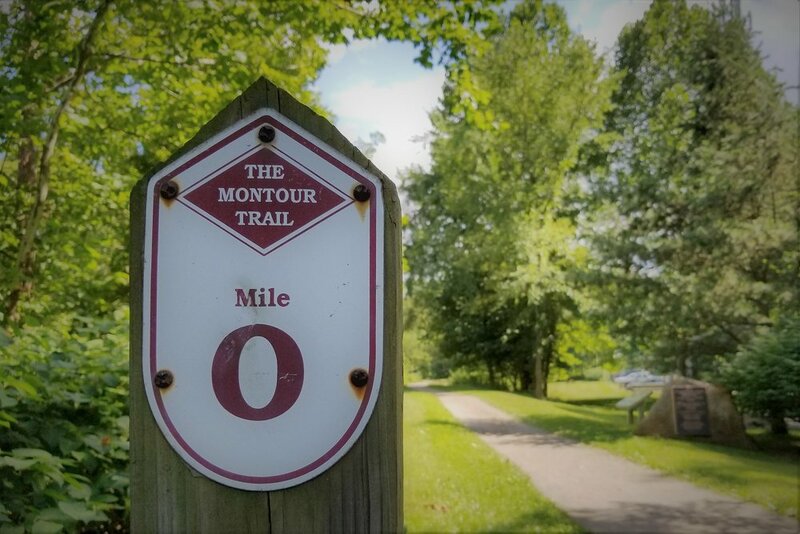 The head of the Montour Trail is just a mile away and Montour Run, a stocked trout stream, bisects the property. "The Ohio River Greenway Trail will unite the "Great Ohio Lake-to-River Greenway" in Columbiana County, Ohio to the "Great Allegheny Passage" in Allegheny County, PA and continuing on the C&O Canal Towpath, forming a mega-trail system from the Great Lakes Region to the East Coast." Coraopolis is part of Phase One of the ORTC Master Plan. The plan is to develop "an on-road and off-road system for pedestrians and bicycles along State Route (SR) 51. The project will extend between Ferree Street in Coraopolis to the Sewickley Bridge." Have you seen the Coraopolis Waterfront lately? Big things are on their way to the Coraopolis Waterfront District, but did you know that big things have already begun happening there? 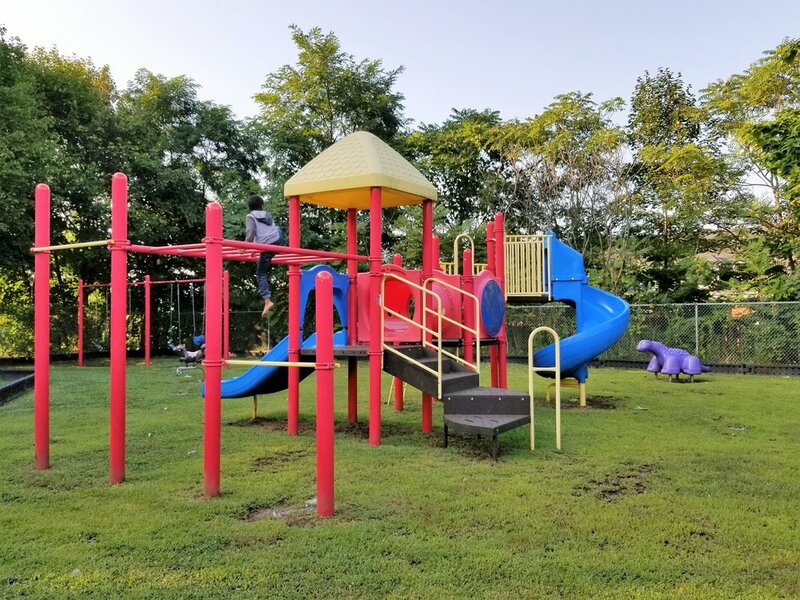 Families can have a blast at the Shelley Y. Jones Park and Bliwas Field. Couples can enjoy a romatic riverside picnic at Susie Letteri Riverfront Park. Before you leave, don't forget to take in the river view at the overlook park at Broadway & First! ...or check out one of our Pocket Parks! 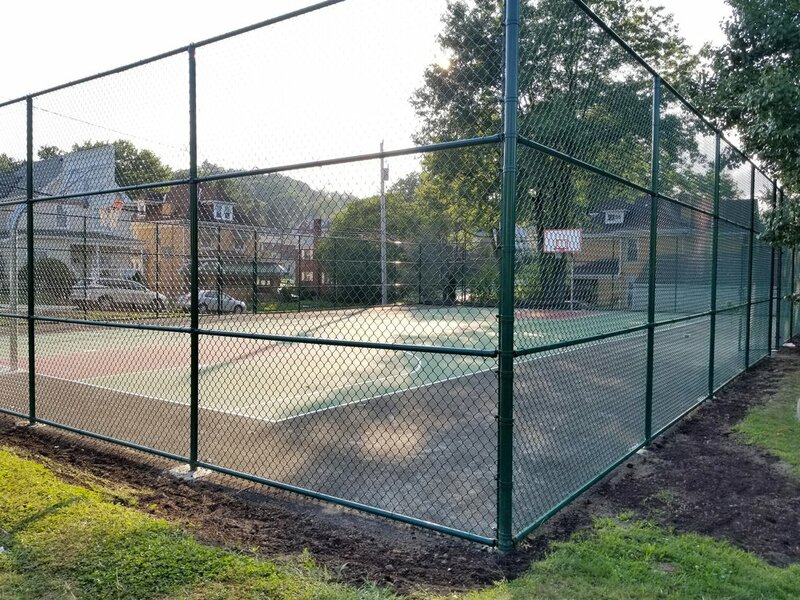 Coraopolis wards nurture their own micro-communities and, with them, great spots to relax, visit, and play are popping up on a street near you! Coraopolis is no stranger to struggle. In fact, our ability to strive harder in the face of challenge brings out the best in all of us. Historically, what took this town from a wish to reality was the building of the Pittsburgh & Lake Erie station on Mill Street. From that point on, Coraopolis was never the same. Commerce, industry, and communities thrived here. The station became the heart of this town. Now, this station that struggled alone and neglected for decades, is poised to lead us into our Renaissance. The station links our now growing downtown business district to the Waterfront District, an area filled with Greenspace Opportunities. The station also runs directly alongside the future home of the Ohio River Greenway Trail, making it a key wayside attraction for rail-trail and pedal-paddle tourists in the Airport Corridor. The Coraopolis Community Development Foundation, a 501(c)(3) nonprofit group, is working diligently to raise the funds to restore this architecturally-significant National Historical Landmark. The finished station will serve as a self-sustaining community center with a working kitchen, providing essential job-training to those in need of skills. The Station Project has benefited from a groundswell of community support, but we still have a long way to go! Find out how you can help by clicking below. Did we mention free street parking on weekends? That's right! I mean, not that our parking isn't dirt cheap to begin with (a quarter for an hour during the business week, from 9-5), but street parking is also completely free to visitors on the weekends! It's not usually very hard to find a convenient spot to park on the street, but, in a pinch, two 24/7 pay lots are also available on 5th: one across from Emma Jean's Relics, and one across from the Old Municipal Building.